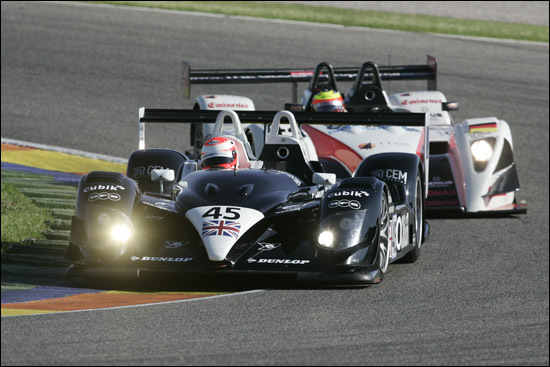 After the disappointments of the opening race of the season, at Monza three weeks earlier, Embassy Racing arrived in Spain for the tortuous Valencia 1000 Km with a Radical that Jonathan France described as “having our signature on it”. That was a reference to the fact that Monza had effectively seen the team take delivery of the Radical and then almost immediately rush down to Northern Italy to race it. 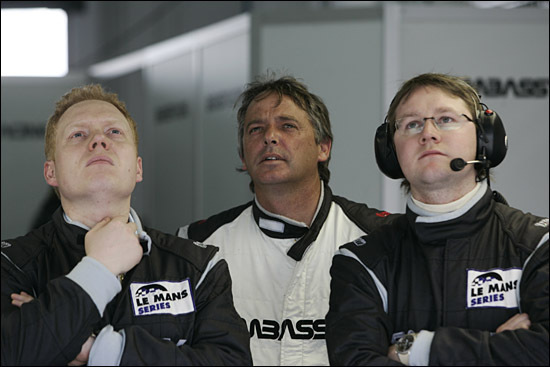 For round 2 of the Le Mans Series, the team had had a chance to prepare thoroughly, and begin to have the car adjusted and modified the way they want it. 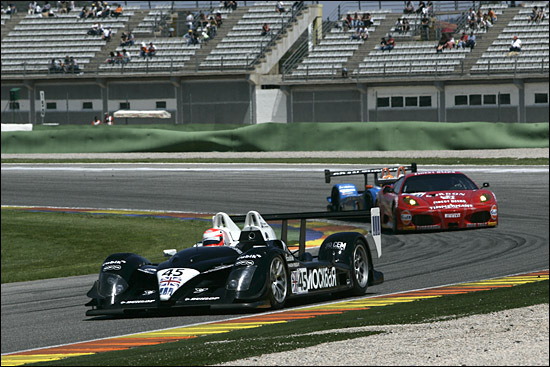 By the end of the first day of track action in Spain, Warren Hughes had already worked out how to set about securing a result at the tight and twisty circuit - with this remarkably accurate prediction of what would happen in the LMP2 race. 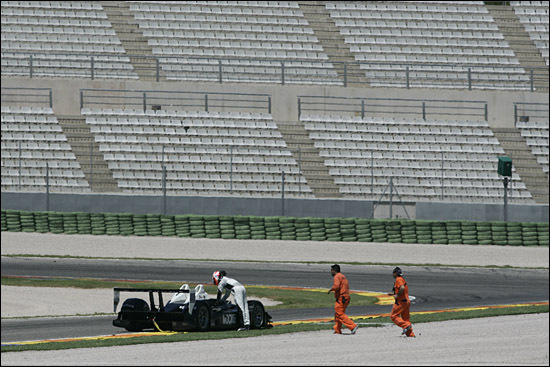 Three sessions of free practice and then qualifying had seen the Embassy Racing Radical run absolutely trouble free. 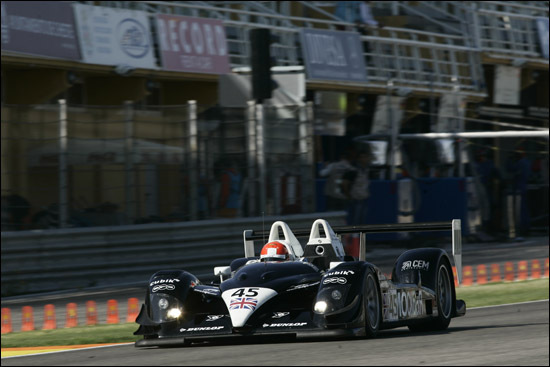 So the meeting began early on Friday afternoon with the black and white Radical an excellent fourth fastest in P2. Warren Hughes would have a chance for a clear lap in qualifying on Saturday afternoon, but for Neil Cunningham, practice involved more “ducking and diving”, with an absolutely reliable car. So filling in some of the gaps, the Radical was fourth fastest in class in the first session (1:30.1), seventh in the second (1:29.6), seventh again in the third (1:28.3) and eighth in qualifying (1:28.0). 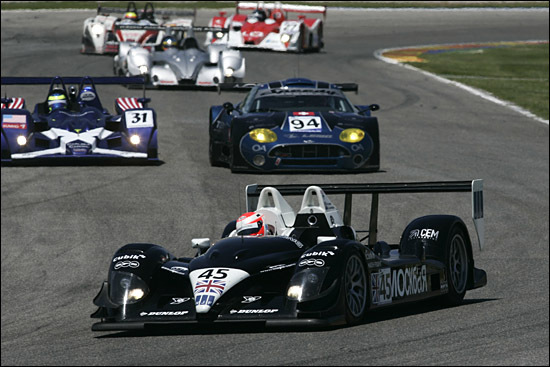 But remember how Embassy’s race pace was more likely to be comparable to its practice / qualifying pace than many of the other LMP2s. Warren Hughes: “We’re not quite dialled into this track. It’s a little bit of mechanical and a bit of aero: the car feels slightly numb. We’ve got a good balance but not a huge amount of grip. But at least we’ve got a gap after this race so we can go and do some serious testing. The great thing is that we’ve had no reliability issues at this meeting. Hughes had one moment of note in the warm up, when despite driving very sensibly, “I nearly got side-swiped by a Corvette”. That proved his point about the result not depending just on pace: race incidents would determine this one. Raceday was just as bright and warm as the first two days of the meeting, and Warren Hughes was down to take the start. Eighth in class was 18th overall, and that’s where he was at the end of the opening lap. Race pace in the 1:30s predictably enough saw the #45 car moving up the order, to seventh in class on lap 2, then sixth on lap 6, having passed one of the Courages and one of the Lolas. Lap 19 and he picked off one of the LMP1 cars, and the Embassy Radical was 15th overall, sixth in class – and sure enough, race pace was coming back to the SR9. Hughes was less than 40 seconds behind the class leader, and as they all lapped the GT cars, lap times weren’t very different from the front to the back of the class. The irony wasn’t lost on Warren Hughes that he and Neil Cunningham didn’t even need that one second per lap on this day. The way the Valencia 1000 Km panned out, a steady run at the pace Warren had already shown, with no delays, would have seen the black and white men getting further than the bottom step of the podium.